Your brakes are one of the most important safety features on your vehicle. Did you know that your Volkswagen actually has the ability to shift its brake pressure while it’s being asked to stop? It’s true, all Volkswagen come equipped with Electronic Brake Force Distribution (EBD), Antilock Brake System (ABS), and Electronic Stability Control (ESC). All of these systems rely on the vehicles brakes in order to perform their job properly. This is why we inspect your vehicles braking system during each visit. It’s not always easy to tell how well your brakes are working. At Fredericton Volkswagen New Brunswick's VW headquarters, our technicians use the latest training and measurement guides to ensure we inform you about your vehicle's brake health before there is a problem. With our Fredericton climate it’s not uncommon for rust, dirt, water, or other poor weather contaminants to affect your vehicles brakes. If your vehicle warning system indicates a problem, we recommend getting your vehicle in for service immediately. If you're not sure what a light means, call us or stop in; we are located at the top of Hanwell just off Bishop drive. A few lights to be familiar with in your vehicles are the brake pad wear indicator, ABS light, and ESC light. All of these warning lights have something to do with your brakes. In addition to the vehicle warning systems, it’s always important to have your vehicle checked out if something seems different. 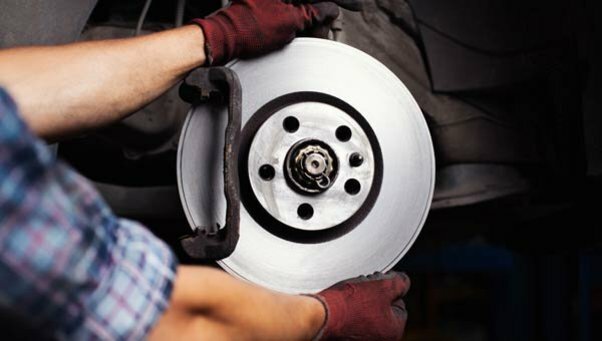 Over time brakes can warp; the warped brake rotors cause a pulsation which can be felt through the steering wheel or, in severe cases, the entire car. You may also notice a grinding sound when the brakes are applied. We recommend having anything that doesn’t seem right checked out. It’s better to be safe than sorry when it comes to your vehicles brakes. 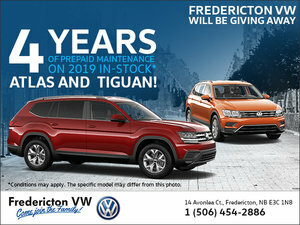 At Fredericton Volkswagen we will replace your front brakes (most models), including labor, for $439 dollars or the rears for $299 dollars. We use original equipment replacement parts which are covered by a nationwide 1 year or 20,000 km parts and labor guarantee. These are the only brakes that are guaranteed to stop your vehicle. Contact us today for an affordable brake repair!